Has the Online Privacy Backlash Begun? Though some may like to believe that the age of privacy is dead, recent developments in Do Not Track browser options would suggest otherwise. Microsoft recently announced a new feature for Internet Explorer 9, called Tracking Protection Lists, enabling consumers to limit the data third-party sites can collect about them. 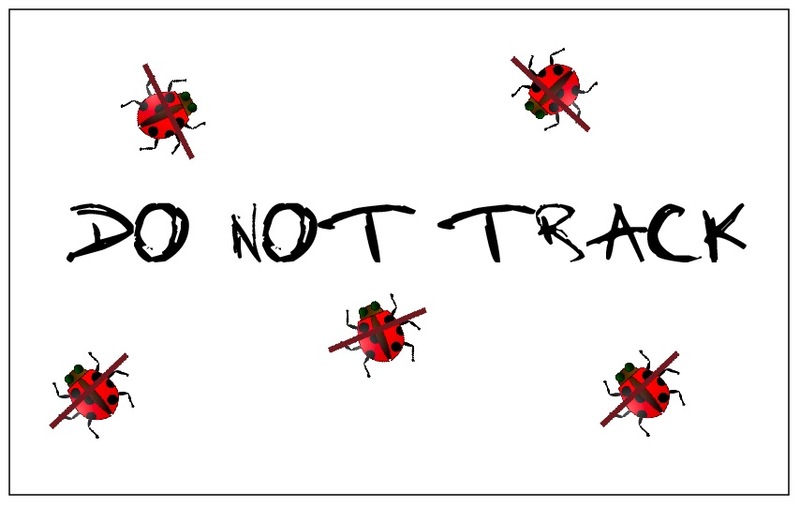 Yesterday, Mozilla announced they will incorporate a Do Not Track header into the upcoming Firefox 4.1, which would essentially notify each website the user visits that they want to opt-out of third party, advertising-based tracking. And Google just made a new Chrome extension available called Keep My Opt-Outs, which permanently opts your browser out of online ad personalization via cookies. While these efforts are underway for our browsers, tools are also being developed for our social networks. WSJ just covered a new tool called uProtect.it, whose tagline is “Protection from Facebook on Facebook.” The free app encrypts your comments and posts, making them inaccessible to unwanted viewers, including Facebook itself. People may finally be ready to demand intuitive privacy settings, ownership of personal data, and opt-out rather than opt-in as a default. While many would argue that openness and transparency are a good thing, it should be at an individual’s discretion to decide how public they want to be, and to have control over who gets to see what. In that positive vision of the future, we’re able to choose how we share and exchange information on a peer to peer level, and actually create value together, instead of having it extracted from us. If that battle is lost, the web may continue to devolve into a playground for advertisers, embedded with increasingly fine-tuned mechanisms to exploit our preferences, behaviors, and social graph. I feel that the authors comment, “People may finally be ready to demand intuitive privacy settings, ownership of personal data, and opt-in rather than opt-out as a default.” is true of certain demographic categories. The concern we need to have is over those who don’t know better, like children who started in pre-teens and don’t think twice about privacy. sure, those that have a clearer understand of the issues know what to ask for. but i wouldn’t limit our concerns about privacy just to children… many adults also don’t understand what information of theirs is being seen and used by others. (i’m aware of my own ignorance in this area). if the idea that getting more people online = a good thing, i would imagine the skeptics and late adopters will want some sense of control and security with their information before they join the party. A good point about the quote only referring to a small minority at this point, meaning that this isn’t really a trend at all (unless identified to be at the micro or meta-level). The concern over personal privacy and security is really (sadly) only in the minds of a few in the early innovator sector who have thought through the issue – or even cared (these are some of the same people creating the opt-out options for consumers). Nonetheless, it IS a driving force (“security, privacy, and vulnerability”) that ALL people will eventually be concerned about, so Venessa’s post hits on an emerging issue that is of great importance to us all (both in terms of personal security/privacy and for global net participation). We’ve been thinking about these tensions lately as part of a project we’re working on. I wonder whether concerns over privacy and security are already a reason for why some people are not engaging online and in social media. They have not adopted the technology because they a) have not yet got the digital skills to be able to be confident that they can protect their digital footprint, and b) they do not trust the providers (Facebook, etc) either. regular people, not internet gurus– are very confident that they are working or playing online in a safe environment, and that is simply NOT true. Personally, I have had so many terrible experiences because i have tried to opt out of advertising and tracking, including Nielson tracking…and, now I have come to believe, based on my experiences that the government needs to intervene. someone needs to educate and regulate (if necessary) what information should be shared with the public and what personal information should NOT be shared with the public. every browser are settings is different; every advertiser’s tracking software is different..
where are all the apps for that???? We are often wrong before we approach right. Should we be held accountable for the errors in this quest? Maybe a boycott of social media tools with an inability to control personal content is necessary. I’ve noticed blog such as the Diane Rehm shows allowing a contributor to edit his or her post, though only to the point that someone replies to the post. I understand why Diane’s blog would prevent editing after a reply, though suggest a change in the paradigm is required. The Do Good Gauge describes a new paradigm. The DGG thesis suggest putting publication in control of content owner, though there is more to the idea. Venessa, I encourage to continue the thought. While I agree that we need to be able to protect ourselves against intrusion, I think the opposite may equally be a problem. So many people use the cloak of anonymity online to attack others, which they probably wouldn’t do if their target could identify them. yes, but privacy doesn’t necessarily have to mean anonymity. Long time follower of you on twitter, you always have interesting and topical tweets and links. This is the essence of the issue, right here. This predicted future of privacy, notoriously championed by Mark Zuckerberg as nonexistent, is exploitative and insulting at best. Value isn’t the only thing being extracted; our information and rights to privacy and protection online, our ability to choose what and who has access to that information when and the deeper details of our daily browsing and online lifestyle. As for the line of argument that says anonymity online is used to commit crimes and attack others, I see this as a ‘aspect’ of LIFE and not just life online, not as a ‘problem’. While I will admit not having a solution for this, the answer is not to force everyone to be subject to the whims and (lack of) scruples of the advertisers. I found their understanding of privacy very interesting. This is always a touchy topic — even among consumers. While one side cries foul about privacy violation etc. there is another side wanting a relaxed privacy setting for convenience, customization etc. At the end of the day, I tend to believe that there should be a balance between what the consumers want, business needs, personal privacy, and security. Part of the issue is that consumers themselves are generally not that aware of the digital footprints they create while browsing the web or how it is used. Couple this with our digital addiction – the compulsive urge to use mobile/smartphones, the latest apps, the impulsive urge to download information to our ipad/laptops when browsing – and the fact that there are no “rules” compounds the fuzziness of the privacy landscape. To me the two fundamental things that need to happen to get clarity on this issue are – education and transparency. On the education side people, marketers, and organizations in the know should do their best in educating consumers and other organizations (including our government and law enforcement officials) about the various aspects of data collection, usage, benefits, risks etc. so that we all can have a meaningful discussion on this topic rather than jump at the first cry of outrage and pass a privacy bill or vilify the marketers. Normally we hear only about the dark side – how cookies are invading our privacy and spying on our behaviors etc. What is not normally heard is the fact that there are numerous benefits associated with it too – the ability to customize, the convenience of relevant suggestions, the ability to remember your preferences etc. Further, certain data collection actually helps firms in making innovations and/or enhancing their products based on the visibility into usage. Education will allow consumers to make informed choices rather than being forced into a choice through mass consensus. The second key thing is transparency. Businesses should be upfront with their data collection methods, methods used to keep information secure, how it will be used etc. It will take time, but firms should build this into their culture – and this is what will eventually mitigate some of the consumer concerns. Also on transparency, consumers should be told clearly the choices they have and what it would mean in terms of benefits/risks so that they can make the right decision based on their context. I do think we are moving in the right direction. Browser modifications (goo.gl/1Mgwr) like on Chrome/Mozilla while not perfect is still a step better than before. Organizations like Web Analytics Association has proactively worked on and released a Code of Ethics (goo.gl/ZauvF) that in my mind is also a step in the right direction. I know there will be some shaking and cloudiness in the near future on this topic but am optimistic that we will work towards a reasonable solution that satisfies all parties in the near future. i agree, education & transparency are important. and yes, we want customization and convenience, but it would be nice to have them on our terms. for instance, if i mention a certain word in an email or on facebook, and all of a sudden tons of ads pop up about that thing…. i still find it rather creepy as well as intrusive. if i need to make a purchasing decision, i’d prefer to do research about it when i need to, verse being bombarded with ads 24/7. Ah – now you are bringing out a key point. What folks do with the information – the delivery aspect. In this I agree with you that you should not be automatically bombarded with promotions just because you happen to “view” something in that area. I do believe that in future we will have better and more intelligent ad-serving platforms that are less “irritating” and “obtrusive” and can better predict consumer intent. This also brings out the fact that information collection should be differentiated from its use and delivery. Passing a bill/law saying that no consumer information should be collected is not the solution — by doing that we would give away many of the benefits folks enjoy today in terms of customizations, convenience, customer support etc. Of course, there should be reasonable constraints and limitations on what one can collect and how and when it can be used. Anyway, this topic will be debated quite a bit in 2011 for sure. I actually enjoy the personalized advertising. I hope it gets even more personalized. Why should I care what information of mine companies’ algorithms sift through? As long as it’s not my credit card information I’m fine. i guess it’s more of a matter of if you’re in alignment ethically with the way it works. i.e. you get to use a free service in exchange for having your data sold to marketers. and sure, the customization helps you consume “better”…. or at least, similarly to your friends and based on your preferences. but someone else is making money off of what you put out there. you don’t get a cut of that profit. now with the release of sponsored stories (http://mashable.com/2011/01/25/facebook-sponsored-stories/), it’s yet another level of advertising. so yeah… it’s convenient if you want a more targeted shopping experience. i guess i’m just getting burnt out on every platform turning into a billboard or a mall. It’s my data and I share if I want to. Period. The German Privacy Protection Act, for example, recognizes the right of each individual, to freely determine what data to share and with whom. Any use beyond the agreed purpose needs explicit approval, i.e. opt-in. If I take that seriously, I cannot even use the ubiquitous “share with a friend by e-mail” routine, unless I have permission from my friend (or at least, at my own risk, have reasonable grounds to assume he would agree) to share his e-mail address with a company, only to find later he may not like to do business with them. At all. Disrespect people’s self-determination and there goes the trust and possibly a friendship. Now, if you go to Edelman’s trust barometer 2011 on slide 13/25, you can see which industries are least trusted, globally. Hint: they relate to the #futureofmoney. Excellent and informative post! Many thanks!